Learn how to make dark and delicious chocolate recipes such as dark chocolate coconut cake and dark chocolate cupcakes. Beauty Guru Bobbi Brown finds that a small piece of bittersweet chocolate is the perfect indulgence. 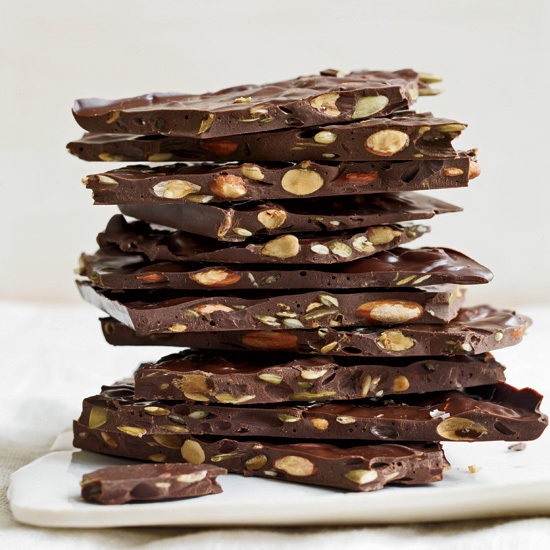 Not only is dark chocolate full of antioxidants, it is mood enhancing in its own right. 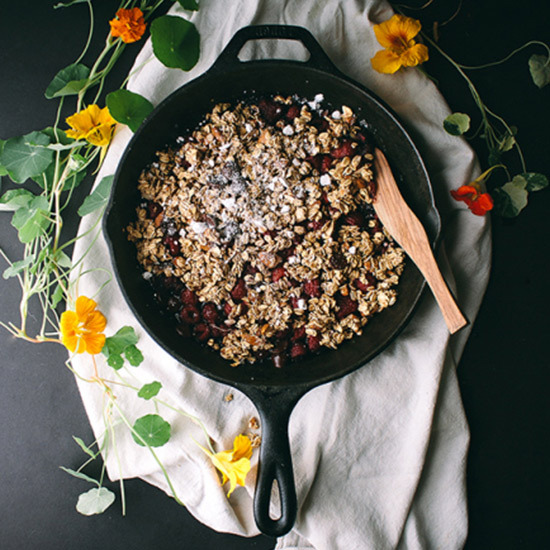 This recipe, from F&W's Grace Parisi, gets an extra boost from walnuts (an excellent source of omega-3 fatty acids) and dried cherries (high in fiber and minerals). 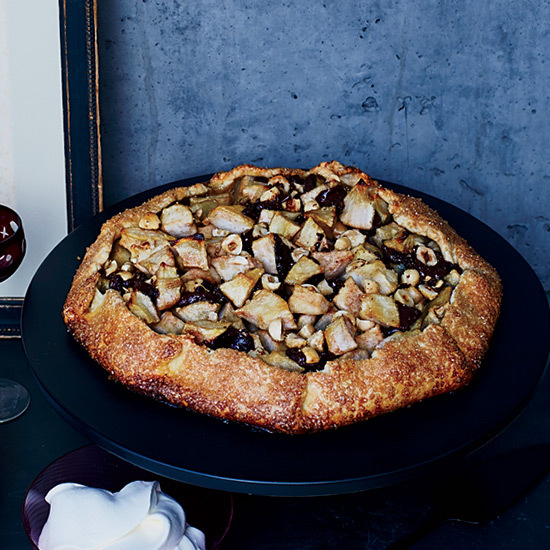 A sprinkle of flaky salt enhances the rich, sweet flavor of this rustic but elegant tart from designer and blogger Athena Calderone. "For me, ginger should be everywhere," says Jean-Georges Vongerichten. "It's as good in marinades and vinaigrettes as it is in dessert." 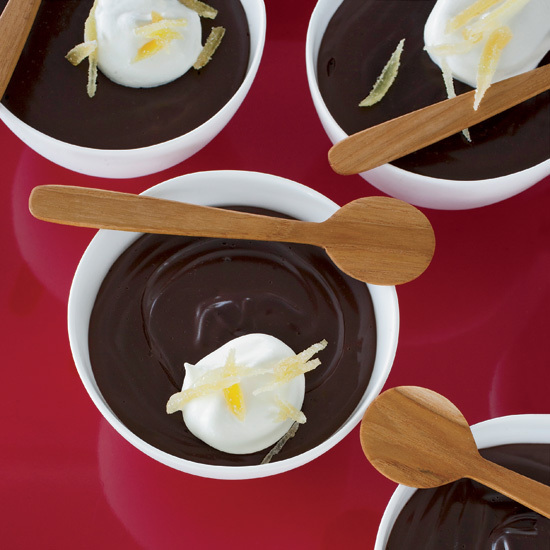 Here, candied ginger garnishes dark-chocolate pudding. This dessert-turned-breakfast is healthier than the traditional crisp you are used to. 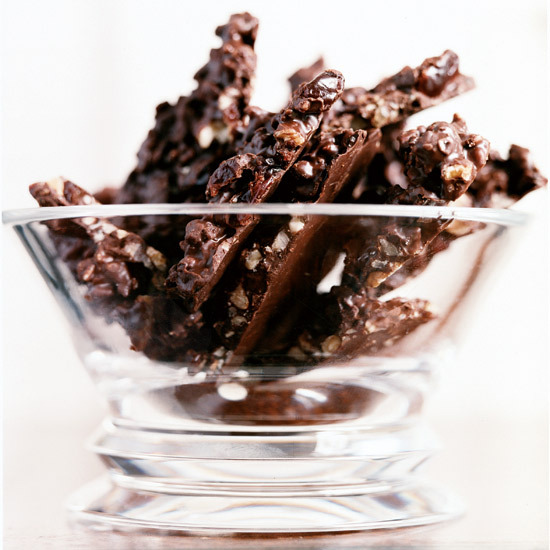 Sweetened with only maple syrup, this dish is chock-full of fiber-rich oats, antioxidant berries and dark chocolate. 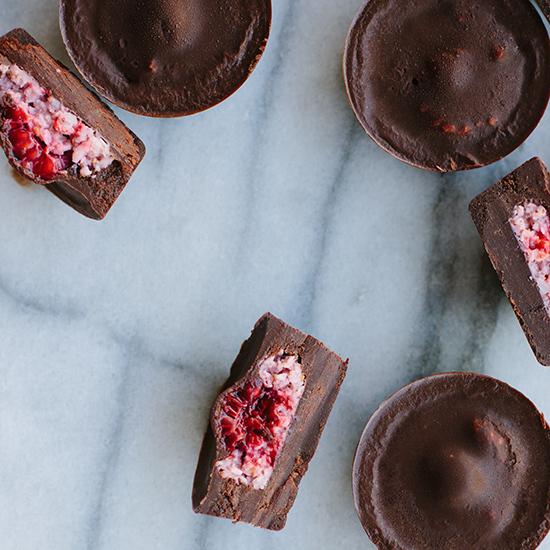 Don’t let the word “healthy” fool you, as the rich chocolate and tart raspberries coated in maple syrup are sure to delight on any morning. 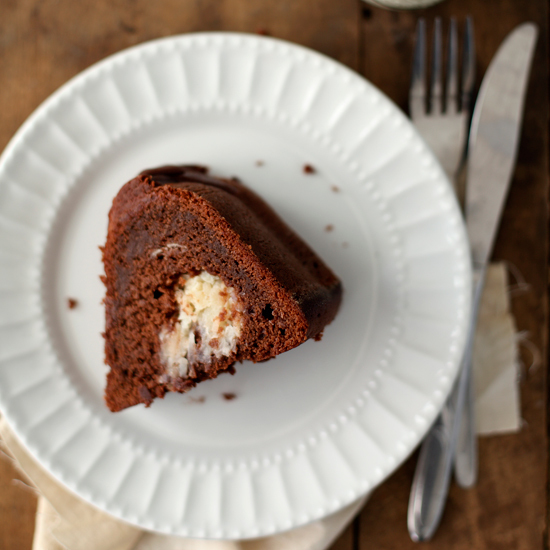 This rich dark-chocolate mousse filling for layer cakes can also be made with milk chocolate or white chocolate. 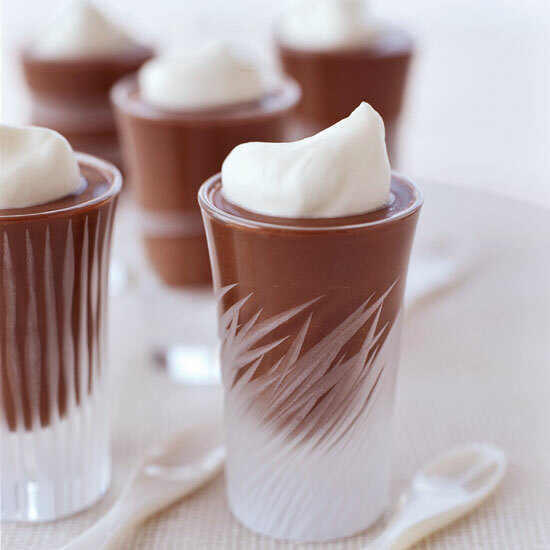 Denser than chocolate mousse, this ganache-like cremoso is great for entertaining because it can be made in advance. Plus, the fruit salad and clever cornflake garnish take very little time to prepare. 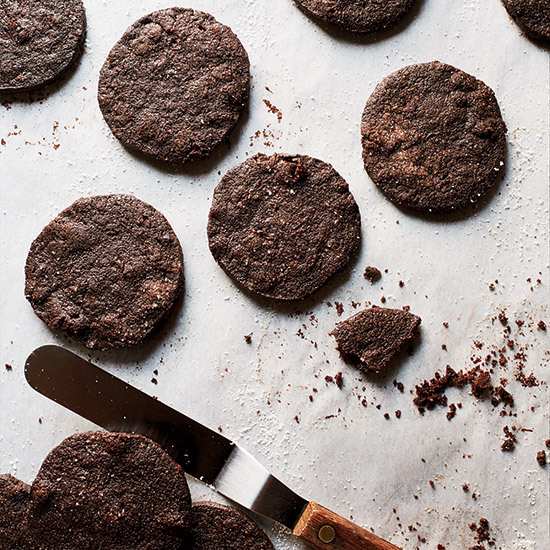 These addictive shortbread cookies from pastry chef Umber Ahmad are chocolaty and buttery, and studded with chewy bits of dried cherries. Their secret ingredient: grated lime zest, which adds a subtle flavor. 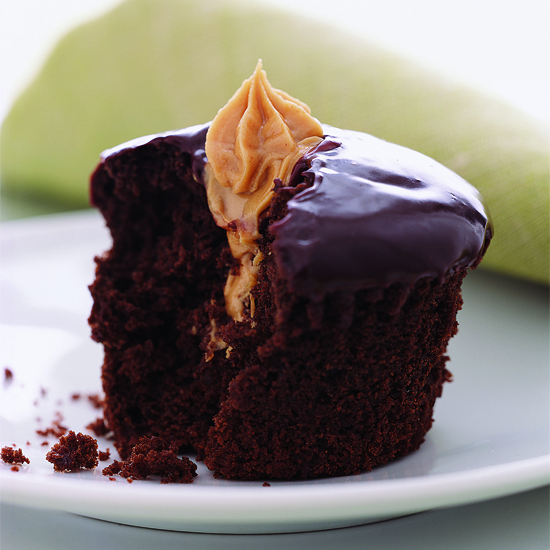 Peggy Cullen, the owner of Lucky Star Sweets, fills her tender chocolate cupcakes with a creamy, salty peanut butter mixture; then she dips the tops twice in a rich, silky chocolate ganache frosting. "For some reason most bakers don't fill their cupcakes," says Cullen, "but taking that extra step is no big deal." All you need to do is poke a hole into the top and squeeze in the ultrasimple blend of peanut butter, sugar and butter. 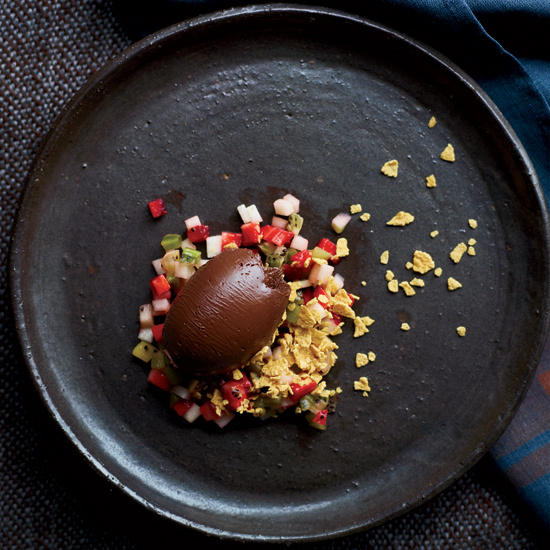 Chef Gavin Kaysen of Minneapolis’s Spoon & Stable created this dessert in honor of his grandmother Dorothy. “She used to make a big bowl of chocolate pudding and then set it in the middle of the table with a handful of spoons,” he recalls. These spelt crêpes have a delicately nutty flavor and light texture to them and they are delicious served on the sweeter side with a warm drizzling of ganache. 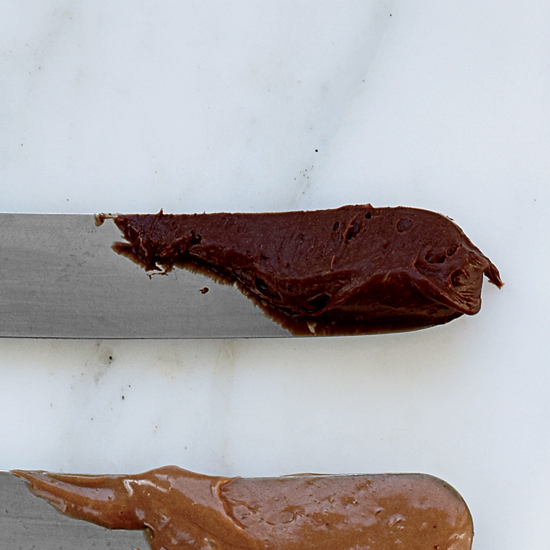 Adding just a little bit of peanut butter to chocolate will never fail to wow. Dulce de leche, bananas and a thin layer of chocolate make this decadent banoffee (banana-toffee) pie from baker and cookbook author Kamran Siddiqi a standout.